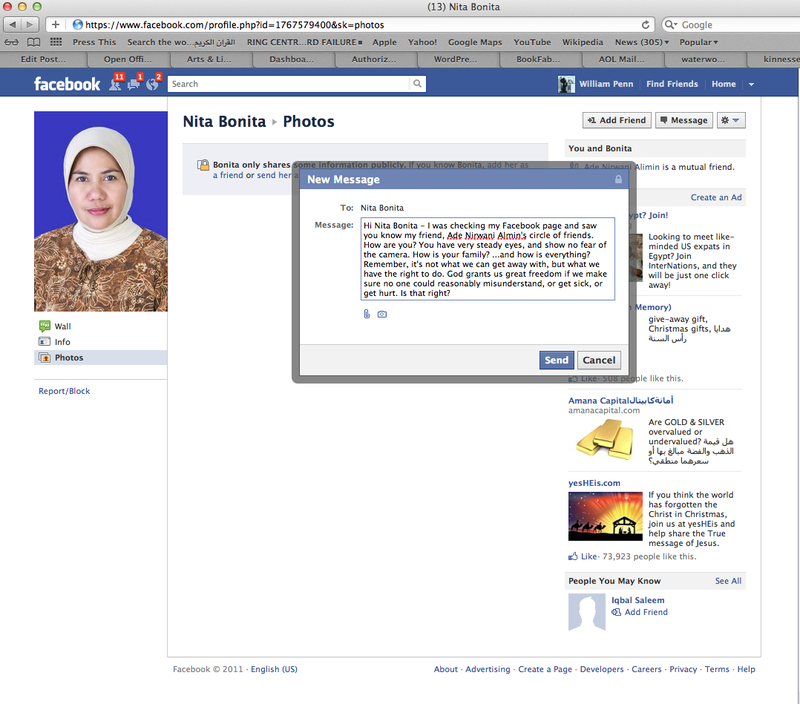 Hi Nita Bonita – I was checking my Facebook page and saw you know my friend, Ade Nirwani Almin’s circle of friends. How are you? You have very steady eyes, and show no fear of the camera. How is your family? …and how is everything? Remember, it’s not what we can get away with, but what we have the right to do. God grants us great freedom if we make sure no one could reasonably misunderstand, or get sick, or get hurt. Is that right?